Titan Tool offers a number of dependable painting tools that have been designed to handle both exterior and interior projects. Some of its sprayer categories include electric airless sprayers, gas airless sprayers, fine finish sprayers, and air powered sprayers. Its products are powerful enough to handle tough applications and heavy coatings. Whether you are handling cabinetry work or intricate woodwork tasks, the titan tools offer the control and the precision required to accomplish them. Some of these tools include the aluminum airless spray guns, specialty airless guns, and stainless-steel spray guns. These tools have been designed in a way that incorporates reliability, durability, and simplicity required by painting contractors and professionals. 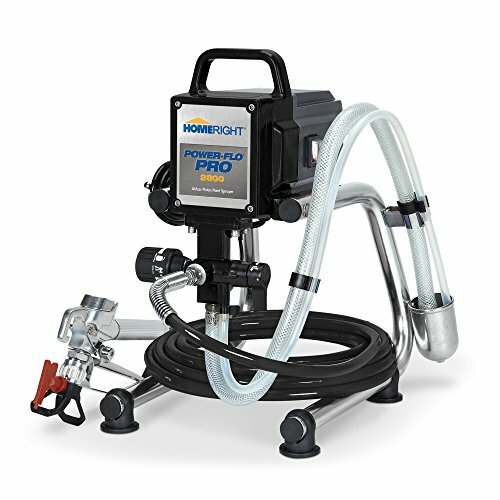 These prime paint sprayers have been built to tackle any task within the residential, commercial, road marking, protective coatings, and fine finishing categories. Whether you are dealing with a small property or a project involving an aircraft carrier, you can trust the Titan spray guns to get your job done. Have a look at our best picks below and see if you can narrow down your list to the sprayer that fits your needs. 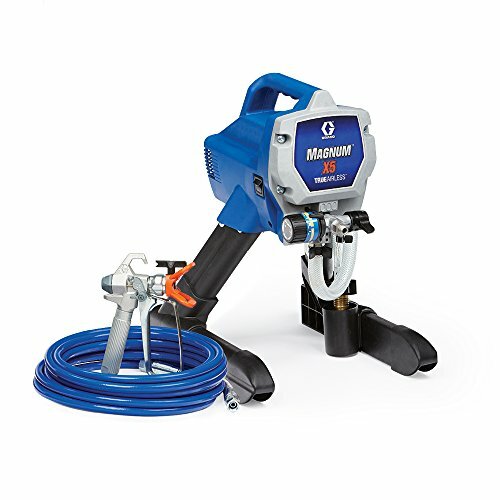 The ControlMax 1700 airless paint gun is a highly efficient paint sprayer. At the center of its operation is the 0.6 horsepower HEA pump designed to dispense paint at a high pressure. The paint sprayer is capable of pumping out as much as 0.33 gallons of paint per minute which makes it the ideal product for large scale painting projects. Additionally, the product comes with a replaceable fluid section which guarantees a long lifespan and you can save a tone of time with the paint sprayer. Furthermore, it comes with a highly capable spray gun that features a tip guard. This ensures that there is no over-spray and also guarantees a fine and smooth painting finish. Moreover, the tip guard ensures that the product can be used indoors without staining other surfaces or items. The Titan ControlMax 1700 PRO is a remarkable paint sprayer for both professional and DIY use. It is mounted on a two-wheeled cart which guarantees mobility and ease of use. The product also comes with a storage compartment where the user can store personal items like keys, wallet, etc. Additionally, it comes with a 50ft hose which provides extra space for efficient spray painting. In addition to its amazing features, the product is easy to assemble and also easy to use. Moreover, the pump is quiet, which ensures that the work site is not noisy. Furthermore, it is capable of spraying 300 gallons of paint per year. In addition to all these features, it comes with a 2-year warranty which guarantees that a buyer receives value for money. 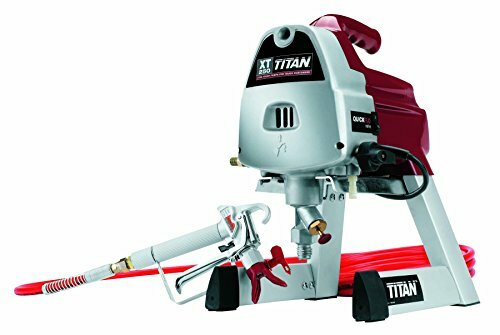 The Titan 0516011 Xt250 is an excellent paint sprayer for around $300 considering its capabilities. The paint sprayer is equipped with a 1/2 horsepower motor which makes it highly efficient. 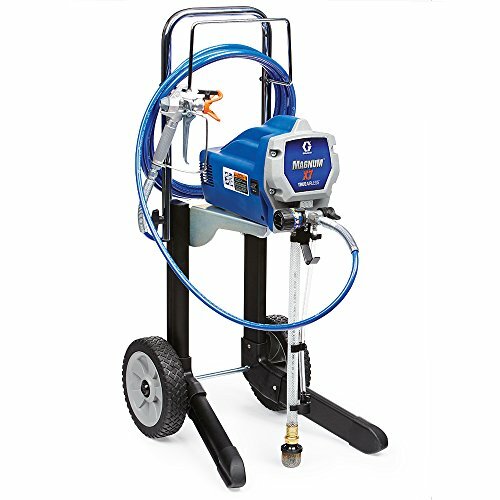 The paint sprayer is capable of pumping out as much as 0.25 gallons of paint per minute. In addition to this, the product is equipped with a 25ft hose which provides adequate space for spray painting. Moreover, the product is durably constructed and designed to be compatible with different kinds of paint. 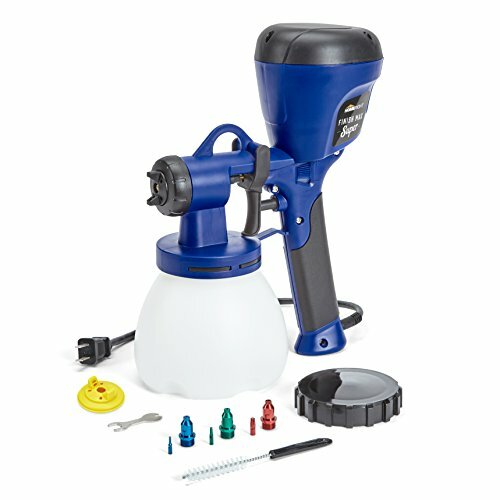 The paint sprayer comes with an easy to use metal gun which has a trigger and an integrated filter. The paint gun also comes with an adjustable knob which allows you to change the spray patterns in order to get the best results. Moreover, it is equipped with a durable stand which provides support and ensures that the it is steady during use. Moreover, the product allows a user to attach either a 1 or 5-gallon paint depending on the scale of the painting project. The benefits of this paint sprayer are that its in-built filter ensures that there is a smooth and fine finish. Moreover, it comes with a power cord light indicator which allows the user to ascertain that it is fully operational. 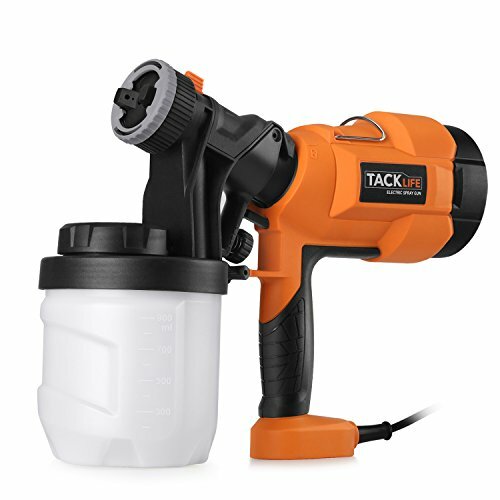 Despite its capabilities, the product is surprisingly lightweight which guarantees that it is easy to use having known some important techniques to deal with paint sprayers. To cap it all, it comes with a detailed user manual which help ensures a smooth setup and operation. The Titan 0516012 Xt290 is an efficient airless paint sprayer which is easy to setup and easy to use. At the center of its operation is an industrial grade 5/8 horsepower motor which guarantees that it is highly efficient during operation. The high capacity 5/8 horsepower motor ensures that the product is capable of producing up to 3000 PSI which makes it suitable for a large-scale paint operation. In addition to this, the product comes with a collapsible cart which allows an easy movement from one spot to another and therefore, reduces stress during large scale painting. 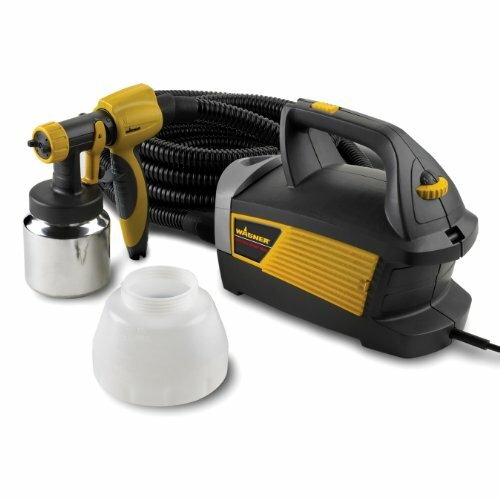 The paint sprayer is also capable of dispensing up to 1/3 gallon of paint per minute. In addition to these features, the paint sprayer comes with a QuickFlo Valve which ensures that paint can be easily dispensed and free of particles. The spray gun is also made of metal which guarantees durability. Furthermore, the product is capable of supporting a 5-gallon paint bucket which allows for painting to be done on a large scale without the need to stop for refilling. In addition to these features, the product comes with a 25ft long hose which has an abrasion resistant cover. This provides adequate space for an effective spray painting. The Titan 0516012 is a highly efficient paint sprayer that is easy to setup, easy to use and easy to maintain. 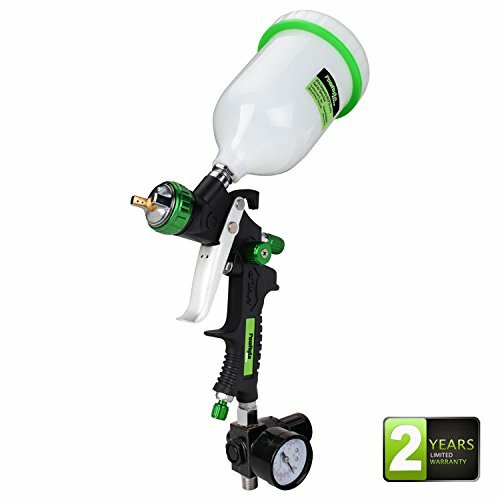 The Titan XT330 is a high-quality professional paint sprayer. At the center of its operation is a highly efficient and top-rated 3/4 horsepower motor which has the capacity to dispense paint at 3000 PSI. The engine is capable of dispensing paint at the rate of 0.33 gallons per minute which guarantees that a large area can be painted within a short period of time. In addition to these features, the product is equipped with a 25ft hose which provides extra space for effective painting. Moreover, the product was designed in such a way that it can combine two 25ft hoses which equals to 50ft. It also comes with the SureFlo Pusher Valve which ensures that it is very easy to use. The product supports either the 1 gallon or 5-gallon paint bucket. It also comes with a professional grade paint gun which is equipped with a filter. This ensures that the painting has a smooth and fine finish. Moreover, the Titan XT330 paint sprayer supports different types of paint materials. Additionally, it comes with a collapsible cart which guarantees ease of movement and ease of use. It also comes with a compact storage where a user can put personal items like keys, wallet, etc.Moreover, the product features an auto-oiler. The benefit of the auto-oiler is that the paint sprayer automatically oils itself during large scale painting projects that could run for several hours. 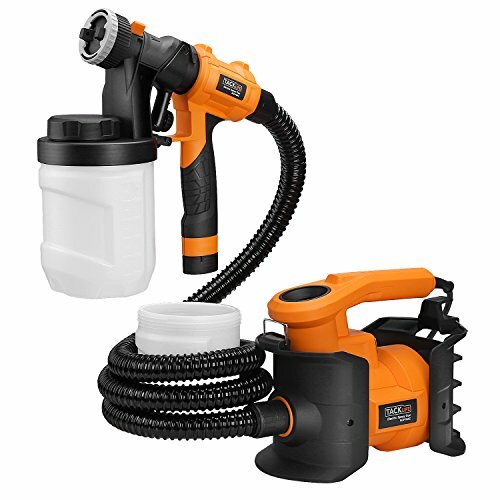 The paint sprayer also comes with an adjustable pressure control mechanism which allows a user to customize each and every painting project. If you are planning to buy a titan tool gun, then it is important to think about some of the requirements that will enable you to get the best tool that is equipped to meet your needs. There are basically two Titan types of spray guns that you are going to choose from. The first category is the airless spray gun. This category includes the aluminum gun, stainless steel gun, and the specialty gun. The second category is the HVLP spray gun. The airless category works by pumping paint at high pressures while the HVLP one works by allowing a steady air flow during the painting process. Some of the factors that will guide you in choosing any of these guns include flow rate, handle, the needle, swivel, and body construction. For the flow rate, you need to consider a gun that offers straight line passage for maximum fluid flow. The amount of flow that passes through the gun depends mainly on the tip size and the pressure setting. You should choose a gun whose spray tip supports your painting tasks. Consider the type of paint or coating that will be applied to choose the right size of the tip. Light coatings like stains, lacquers, and enamels require a smaller tip. Heavy coatings like exterior latex paints require a large-sized tip spray gun. Some titan tools can accommodate two spray guns hence giving you an opportunity to have support for different tip sizes. The capacity of your sprayer will be a key factor in determining the maximum flow rate. You need to know the number of gallons you are going to handle in a given time period. Having a good flow rate with a limited supply of paint can be tiring and quite frustrating. There is also the aspect of material which needs to be addressed as you choose your spray gun. Just like flow rate, the materials will have a key bearing towards the choice of the spray tip for your gun. If you are going to work with surfaces such as exterior siding, walls, and concrete, you need a tip size that gives you the desired finish. 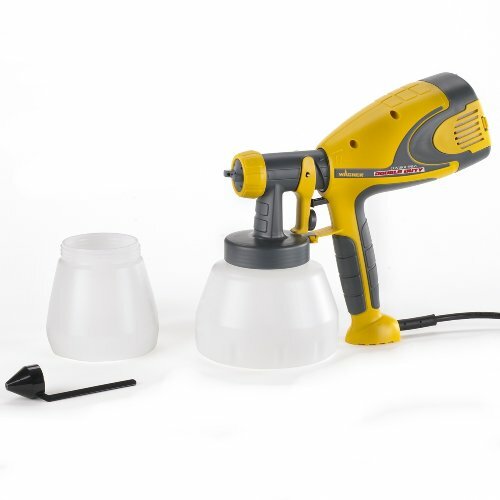 A spray gun with more versatility will enable you to tackle different types of materials. You also need to look at the positioning of the handle. An angled angle will be a good choice as it will enable you to complete your tasks in a more comfortable way. This also enhances the portability of a titan tool to handle your projects. You should therefore not just focus on getting a cheap titan spray gun but rather one that is adequate enough for your painting tasks. For smooth texture application for your spray gun, you need to look at the nozzle options offered on the market. A specialty spray gun from Titan tools, for instance, offers you an opportunity to use a splatter nozzle. This nozzle can be used with the S & M airless gun series to give you best results. The best nozzle should be fully adjustable, capable to spray joint compounds, and include two or more air/mix nozzles. In order to prolong the life of the spray gun’s critical parts, it’s important to acquire an adjustable needle packing. Such a needle will also give you the flexibility to adjust the delivery of paint during work. It is also important to look at the other spray settings such as speed and spray patterns. Multiple settings for the spray gun gives you the versatility required to handle materials like lacquer, paint, and varnish. There is also the swivel factor which needs to be flexible enough to give you movement freedom without necessarily hose kinking. The titan spray gun comes with a trigger which has to be triggered at the start of the painting process and released before the end. The best spray gun should be able to move during the triggering process to minimize the coat blotching during the lead stroke and the lag stroke. There is then the aspect of body construction. A solid construction gives you the comfort and the control required of a spray gun. Use of stainless steel and aluminum materials gives it long lasting capabilities. There is no doubt that the titan paint spray guns offer great performance for both painting enthusiasts and professionals. They excel in handling home based like door painting, wood furniture spraying, and fence sealing. The titan tools are tireless workhorses that are virtually indestructible. With proper servicing, these tools can last you long. They are durable, reliable and easy to be used by the professional contractors, maintenance personnel, and property managers. Their spray guns have been built to handle hard work for a long period of time. They use the latest engineering and design technology to ensure dependability and ease of use. 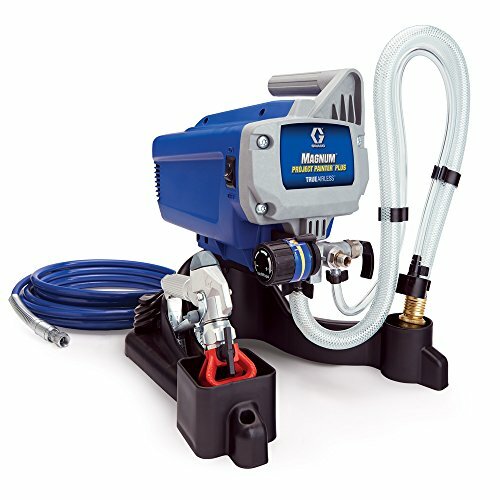 Whether you are handling intricate woodwork, metal railings, furniture, cabinetry, piping, lockers, or fine finishing assignments, these spray guns give you unique precision and control features. 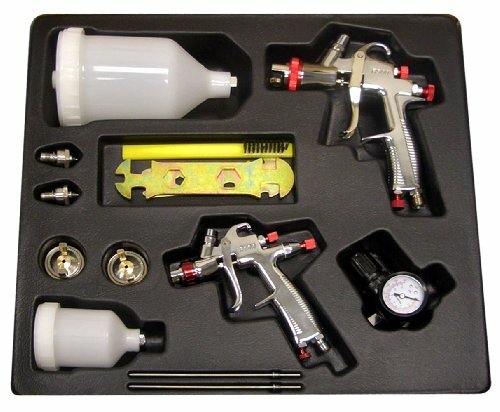 A paint spraying gun can be quite intimidating especially if you don’t have the one that meets your needs. It is therefore important to take time to understand the type of tool you are purchasing. We have highlighted some of the aspects that will enable you to choose the best unit from titan tools.